Priced to sell quickly & move in ready! This 3 BR 3 BA home plus an office is a top of the line home to start with & then the seller added a metal roof, quality flooring throughout, nearly new appliances, fresh paint, and so much more! The home offers two separate living rooms - one up front as you walk in the front door that says Welcome Home plus a large back living area with a wood burning fireplace and plenty of space for even the largest of furniture! The dining area off the kitchen is convenient and cheerful with the natural light from the glass doors leading out to the back yard. Just right for candlelight or a huge table and large gathering! Have you seen the kitchen?! Cabinets galore, storage space everywhere, tons of work space, a deep pantry & so attractive! All this adds up to a dream kitchen! The master bedroom & master bathroom are worthy of their name - spacious and a touch of luxury plus the master closet space will amaze you! There is a huge covered front porch to sit and enjoy the peace & quiet all around! 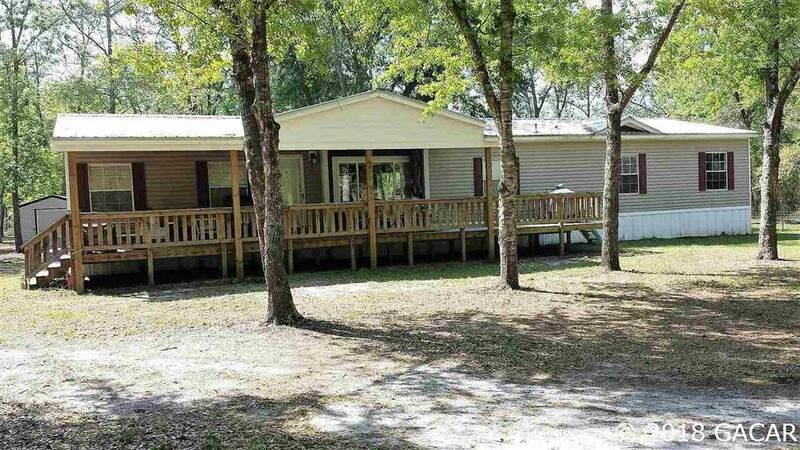 Huge hardwood trees scattered throughout the property, fenced area for pets plus a new storage bldg! This home has been well maintained & lovingly cared for - come take a look and you will fall in love!